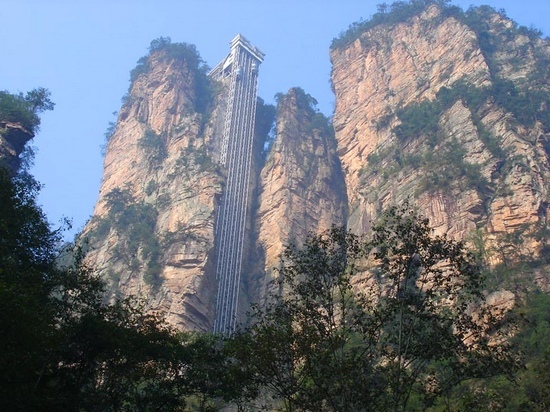 • World’s tallest full-exposure outdoor elevator. 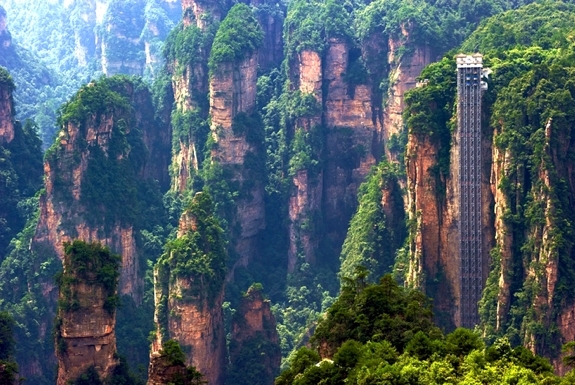 • World’s tallest double-deck sightseeing elevator. • Passenger elevator with fastest speed-to-carrying capacity ratio in the world. 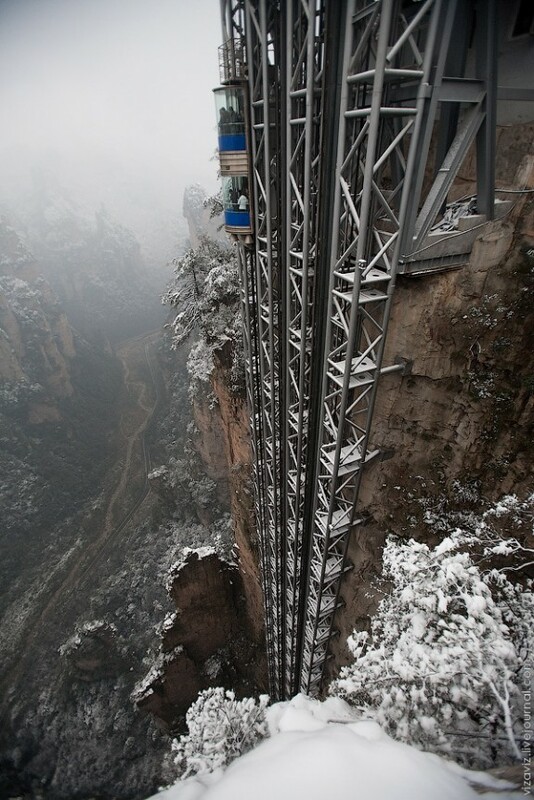 • World’s scariest elevator to ride. Stand by the elevator’s floor-to-ceiling glass wall for your ride and you’ll look down upon the jagged rocks below as they get further . . . and further . . . and further away. At this point you should try not to think about the quality of the elevator’s construction, which has been the source of some controversy — a year after elevator opened in 2002 it was closed again because of safety concerns. Then, to that mix of vertigo and stress, you can add earthquakes. The greater Wulingyuan area is prone to them. Three separate monitors are built into the elevator shaft to measure seismic activity — like that will help you when you are in the elevator half way up. 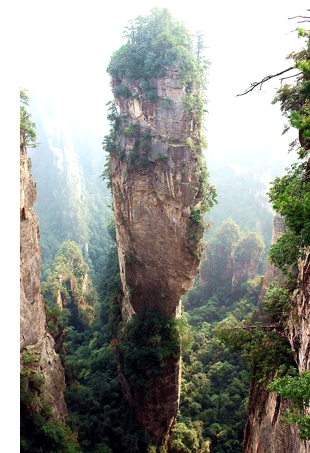 At the top, you’ll be 330 meters (1,070 ft.) further above sea level than you were when you started. It is at this point that your taste of Charlie and the Great Glass Elevator will give way to another movie: Avatar. James Cameron filmed portions of the blockbuster here. 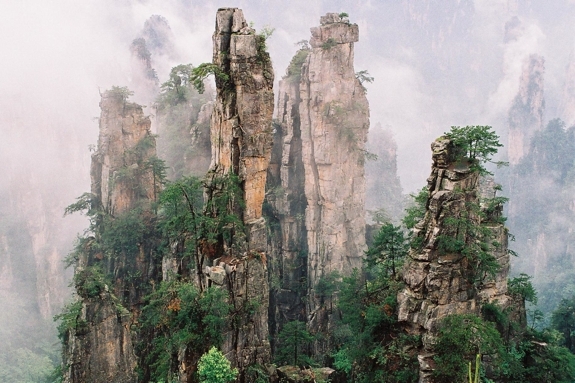 The fictional Hallelujah Mountains of Pandora were inspired by the very real, and completely stunning, peaks around Wulingyuan. 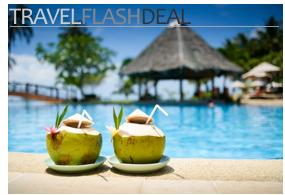 Until you can travel there yourself, check out the photos below. 1 The tallest elevator in the world is, unsurprisingly, in the world’s tallest building: the Burj Dubai in the UAE. 2 Faster elevators seem to go into service every few months. At the time of writing, the lift inside the Taipei 101 Building holds the world elevator speed record: 60 km/h (37 mph) or three times the speed of the Bailong Elevator. 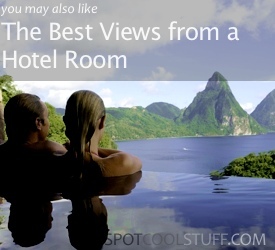 If you go: Consider riding the cable car down. 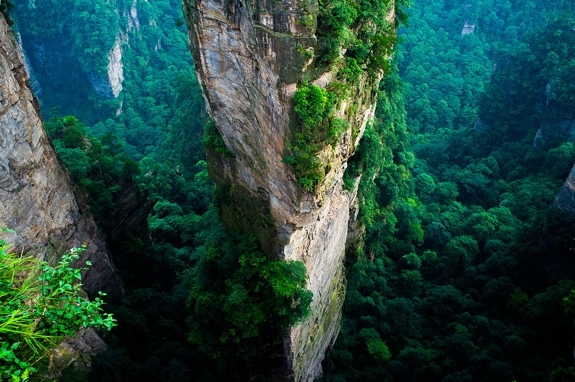 Buses transport tourists between the two stations.You can also hike up to the top; the Zhangjiajie Club runs tours. Family friendly? Absolutely, though the elevator is not for kiddos (or parents, for that matter) easily scared of heights. Where to stay: The Zhangjiajie Pullman Hotel is the best of a mostly bland lot.